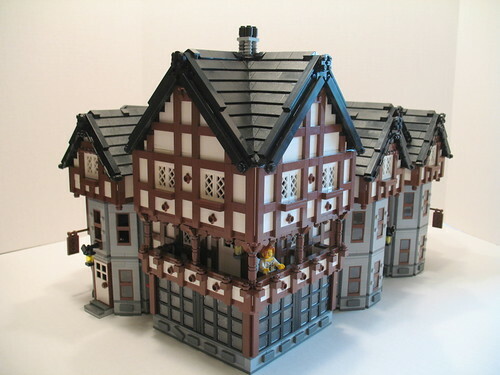 Brick Town Talk: Shiver Me Timbers - LEGO Town, Architecture, Building Tips, Inspiration Ideas, and more! Fort Brighton East - (BTT) You better book early if you are hoping to stay the night at the Libery Inn. The stucco and half-timbering on the upper floors really make this building look straight out of medieval village, but rest assured that the amenities have been upgraded a bit since that time.